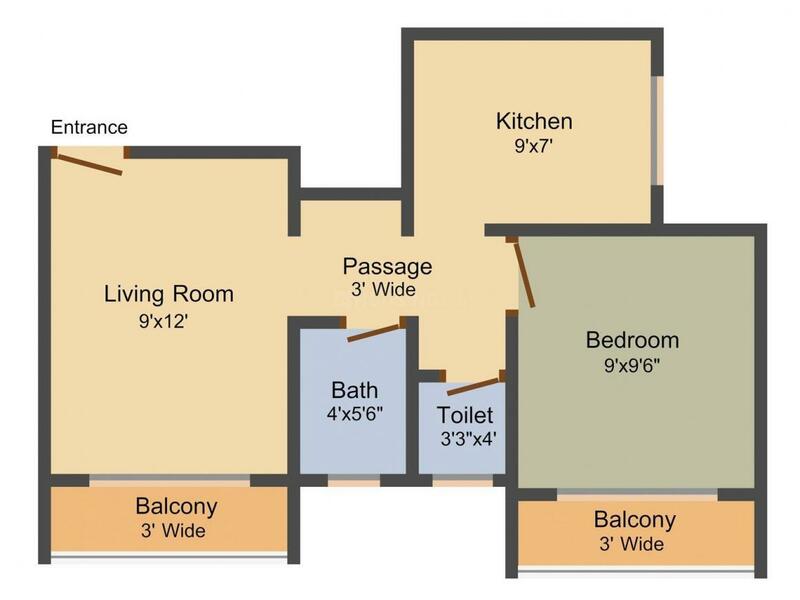 405.00 sqft. 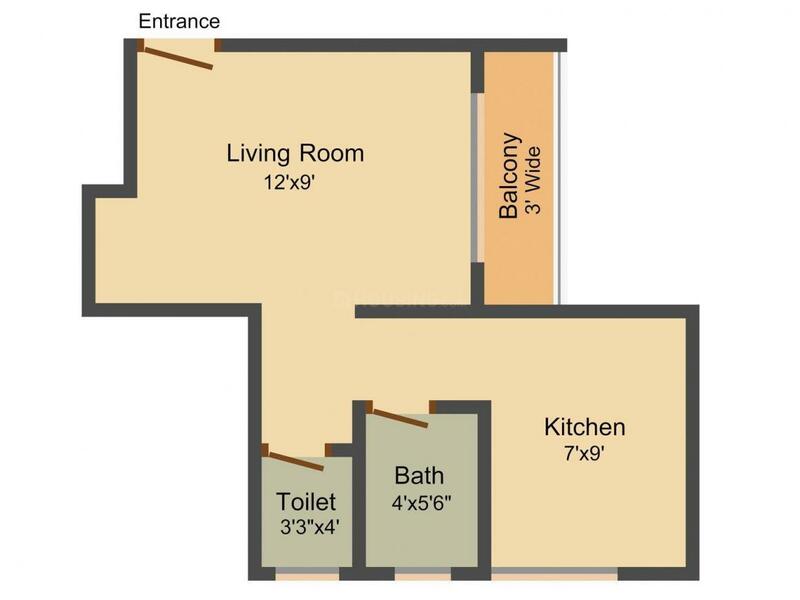 - 565.00 sqft. Located at Mamdapur in Maharashtra, Sai-Sankul by Shree Hari Om Construction is an impressive project. 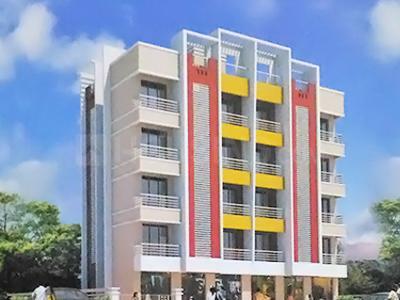 You don’t have to give it a second thought before investing in this esteemed project. You are bound to feel relaxed in the spacious rooms of this project. This edifice will be equally admired by both young and old. Watch your children play in the calm environment of this dwelling. For a relaxed life with your family Sai-Sankul by Shree Hari Om Construction located at Mamdapur in Maharashtra is the perfect choice you can make. Saleable Area : 405.00 sqft. Mamdapur is a quaint suburb situated in the Raigad district of Maharashtra. Nearest major towns are Neral, Badlapur and Karjat. Settled on the downhills of Matheran hill station, the locale lies almost on the same latitude as Mumbai. The easy accessibility has helped it evolve as a prime weekend getaway. Pune highway, Nasik Highway, Goa Highway, Mumbai-Pune expressway and Raigad District are all well connected. The under construction sea over bridge, trans-harbour link between Sewri, Mumbai and Navi Mumbai will cut the distance between the two cities further and offer faster connectivity to Karjat also. Its proximity to many industries and holiday spots with good connectivity has made it a unique city in India. The nearest airports are Mumbai Airport and the proposed Navi Mumbai International Airport. The Nhava Sheva JNPT Port is the nearest seaport. Ulhas Nadi flows across the border of Mamdapur, offering it with a serene environ and cool climatic conditions. 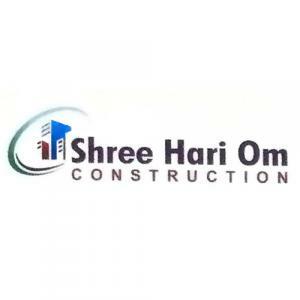 Shree Hari Om Construction is a group of dynamic individuals committed to quality construction. Time lines and client satisfaction are two staunch pillars that guide the working of the firm. The management has been instrumental in delivering a large number of High-End Luxury Apartments and Multi Storey Apartments. It has built a reputation for quality in construction, transparent financial dealings and on-time delivery. Synonymous with rigor and methodicalness, Shree Hari Om Construction strongly believes in going beyond erecting buildings by providing personal touch and care and building relation for a life time.